I used to live 10 mn from the Combi pool and I used to go there three times a week. Now I live in L.A. and I don’t have time to go anymore. I’m a true Californian, if it’s too far or if it rains, I just don’t drive… But ultimately, I made a deal with Daniel Cuervo and we are both sharing the drive to go there twice a week. It’s that time again when the best skaters are doing photo shoots with the best pool photographers on hand or filming for their next clip. A couple of weeks ago, Austin Poynter was filming there his new clip for Monster. 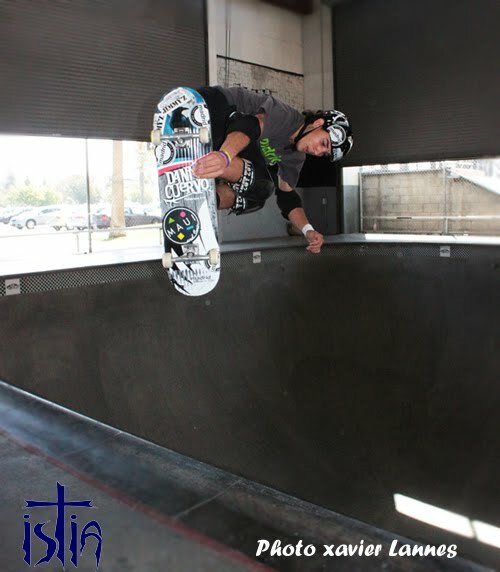 Last week, it was with Christian Hosoi. Yesterday, some guys were filming Daniel Cuervo and Pat Ngoho… Well it doesn’t stop.